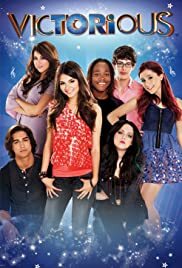 How many episodes of Victorious have you seen? Q: Does Robbie really do the ventriloquism? Q: Is Trina a bad singer in real life? Dan Schneider you've done it again! this show is awesome, good cast, acting, jokes. like everything of this show is awesome! its good for teens, children, adult...like everyone. it doesn't have cheesy jokes and stuff. if your someone who loves drake & josh, icarly etc...well then your gonna LOVE and i do mean LOVE this show. everyone is talented in this show! you can see that its a typical Dan Schneider show. my rate for this show is 10/10,i got no flaws or nothing bad 2 tell about. its just to good! and plus they have some really good songs and amazing singers. like Ariana Grande(Kat) she has this AMAZING Christina Aguilera voice! but this show, OFF THE HOOK! hope it last long!